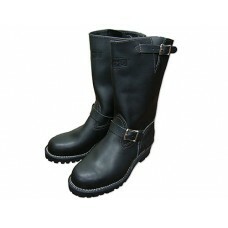 Wesco's 11" Boss boots in black are one of the definitive motorcycle boots of this generation. These leather engineer boots stand proud and tall with you out on the road. The 11" inch height is perfect for those who prefer a shorter barrier to getting into the boot world. These Boss boots come with a top strap buckle to tighten the rim of the boot around your calf, resulting in a boot that will more easily fit to the form of your leg. If you had any worries about slippage, you need not concern yourself as the Wesco Boss boots come with a 100 Vibram lug sole. You'll never have to worry about accidents, whether you are shifting gears on your motorcycle or simply wearing them for work. These medieval boots also have a permanently formed Stytherm counter, which aids in stability. You'll stand firm and proud! 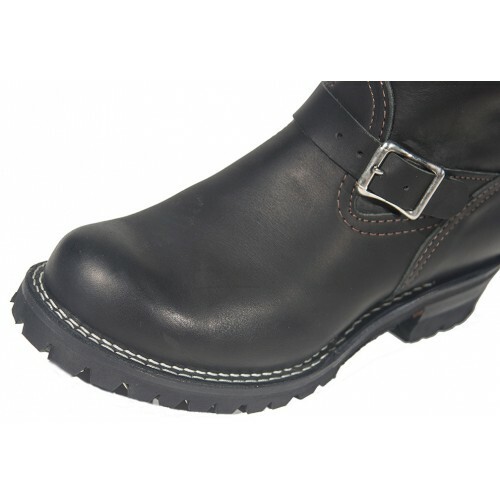 The Wesco Boss is not only a great statement as a boot enthusiast; it is designed with maximum comfort in mind. The boot comes with all leather inserts as well! 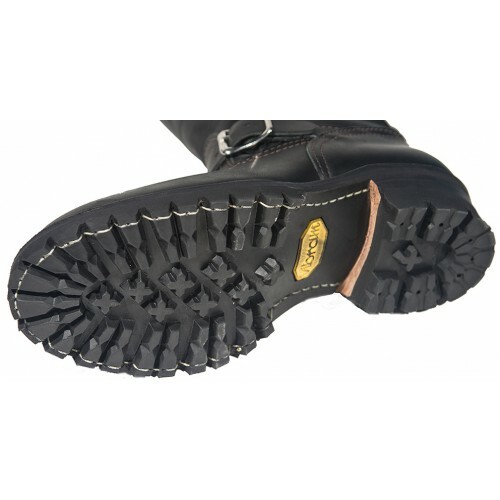 The working person needs a boot that won't be killing their feet by the end of the day. Wesco has you covered with a non-corrosive, slightly arched, steel shank added into the boot to comfort your heel and arch, as well as a full leather midsole which helps with shock absorption. All in all, these boots are versatile, great for numerous occasions. They are stylish, practical, and hardy. Whether you are hitting the road or the work site, they work to prevent injury as well as make you look good! 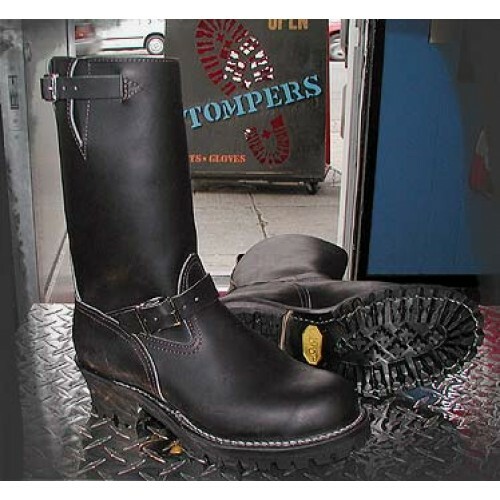 Stompers Boots stocks the largest selection of sizes anywhere in Wesco Bosses! Non Standard Sizes Are Additional $15.00. If you are looking for something a little bit taller, why not try out the 16" Bosses.